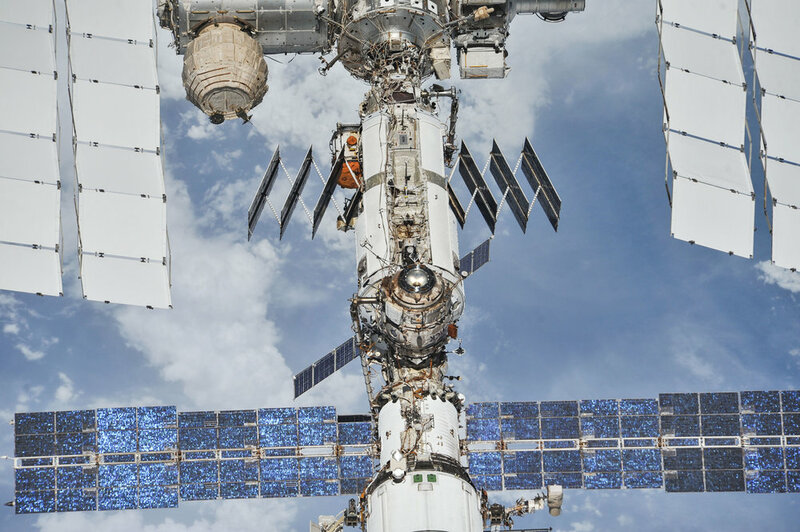 When the Soyuz MS-08 crew departed the ISS Oct. 4, 2018, the crew members aboard it took the time to photograph the whole International Space Station just in time for the 20th anniversary of the first modules being launched. Soyuz MS-08 left at 7:57 UTC with Russian cosmonaut Oleg Artemyev and NASA astronauts Drew Feustel and Ricky Arnold. 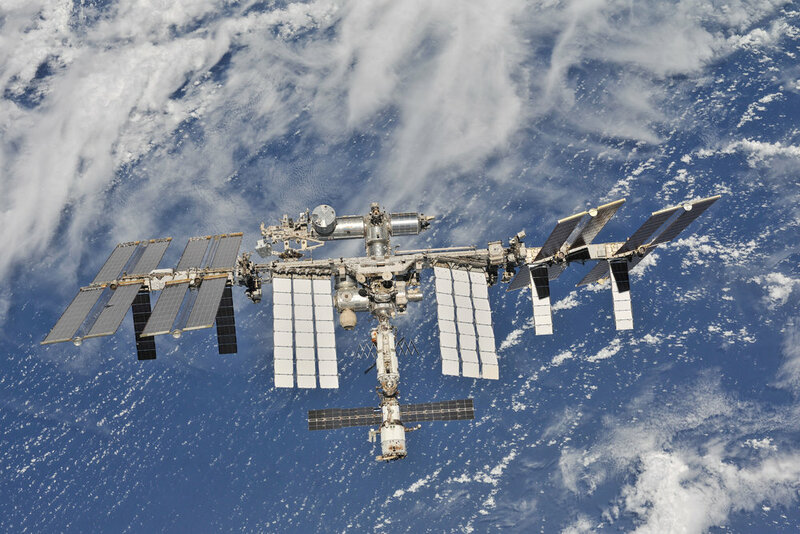 Upon undocking from the Poisk module, the spacecraft performed a full fly around of the space station, something that had not been done since the end of the space shuttle program in 2011. This was done to get views of the outpost in advance of the 20th anniversary of the first hardware launched in 1998. The Zarya module was launched atop a Proton rocket Nov. 20, 1998, while the Unity module was launched inside space shuttle Endeavour during its STS-88 mission on Dec. 4, 1998. 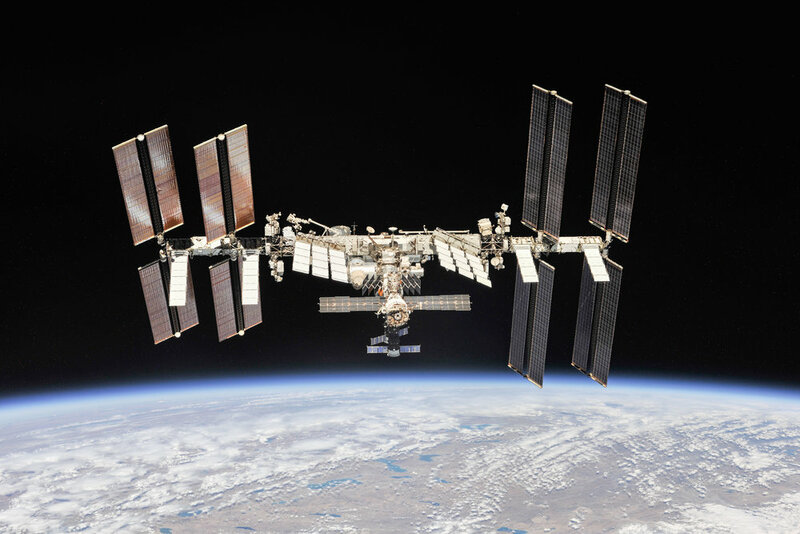 At 2:07 UTC Dec. 7, Unity and Zarya were joined using the space shuttle’s Canadarm robotic arm. After two spacewalks on Dec. 7 and Dec. 9, the six-person space shuttle crew entered the fledgling space station for the first time. The hatch to Unity was opened at 19:54 UTC Dec. 10 by NASA astronaut Bob Cabana and Russian cosmonaut Sergei Krikalev. 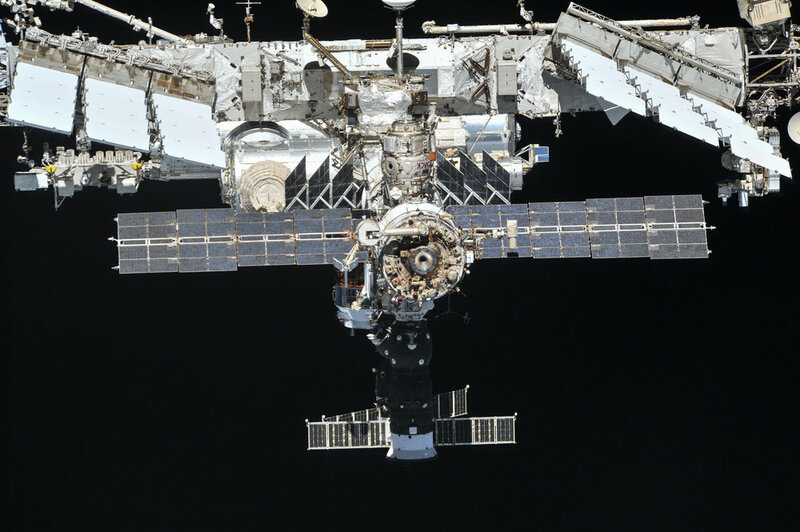 At 21:12, the hatch to the Zarya module was opened. After stowing equipment aboard the two-module space station and performing another spacewalk to prepare for the next space shuttle assembly mission, Endeavour and its crew left the outpost. 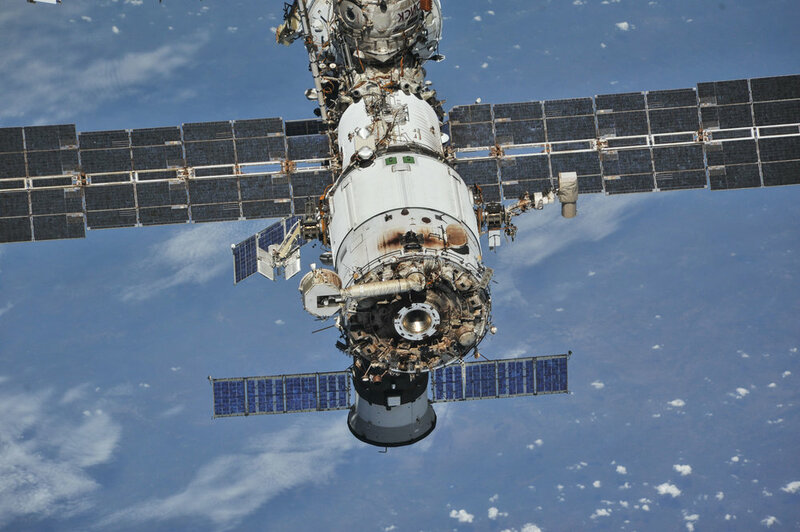 Undocking occurred at 8:25 UTC Dec. 13 and landed two days later on Dec. 15. 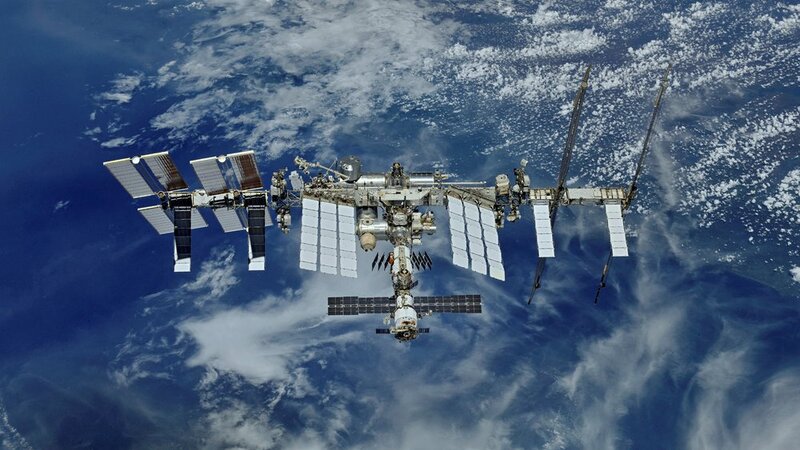 It would be another two years, four space shuttle flights, the launch of the Zvezda service module in July 2000 and the addition of the Z1 truss in October 2000 before the ISS would finally be ready to host its first crew — Expedition 1. Expedition 1, which included NASA astronaut William Shepherd and Russian cosmonauts Yuri Gidzenko and STS-88’s Krikalev, launched Oct. 31, 2000, aboard Soyuz TM-31 from Baikonur Cosmodrome in Kazakhstan. They docked to the outpost two days later on Nov. 2. The trio’s 136-day long-duration mission was the first of dozens over the course of 18 years to form a continuous human presence in space — the longest in history. The October 2018 space station images are also posted on NASA’s Flickr page.